A lot has been happening at Illinois State University's School of Theatre and Dance. Along with the usual auditions and casting for fall shows, they've added a few pieces of information to fill out the overall 2017-18 season and announced who will be the new Artistic Director for the Illinois Shakespeare Festival. In the wake of Artistic Director Kevin Rich's departure, there has been a bit of mystery surrounding the Illinois Shakespeare Festival leadership position. It's reminiscent of Shakespeare, where we all wonder who will wear the crown by the end of the play. 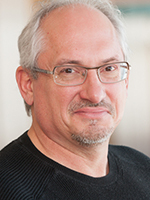 Wonder no more -- it will be John Stark, Head of the Design/Production Area for ISU's School of Theatre and Dance and a member of the ISU faculty since 1991. Stark has designed for the Shakespeare Festival many times (with at least two Hamlets, Midsummers and As You Like Its to his credit) as well as numerous designs for the University and for theaters from coast to coast. He won a Joseph Jefferson Award in 1997 for his scenic design for The Living at Famous Door Theatre in Chicago and he designed the set for the 2013 Off-Broadway production of Falling that was nominated for three Drama Desk Awards. Falling was directed by Stark's wife, Lori Adams, Head of Acting at ISU; she directed and he designed for its trifecta of productions in St. Louis, New York and back here in Normal at Heartland Theatre. There is no doubt in my mind that under Stark, the Illinois Shakespeare Festival will look fantastic and work like a well-oiled machine. He's just that good. No word yet on the Festival's 2018 lineup, but it will be very interesting to see where he takes it. 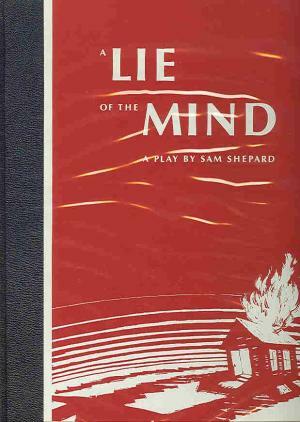 The Stark-Adams household is keeping busy, since Adams is at the helm of ISU's first fall show, A Lie of the Mind, Sam Shepard's blistering, violent, sometimes surreal domestic drama from 1985. Adams has cast Parker Carbine as Jake, the out-of-control husband who beat up his wife, Beth, played by Gina Sanfilippo, to the point of brain damage. In the play, Beth is taken to her old family home, a cabin in Montana, to pick up the pieces amongst her own difficult family. For ISU, Beth's father, Baylor, also quick on the trigger, will be played by Dylan Dewitt, with Elena Sasso as his well-meaning wife Meg and Raul Marron as their son Mike, a chip off Baylor's block. On Jake's side of the conflict, Abby Langner will play his enabling mother Lorraine, while Betsy Diller takes on sister Sally and Everson Pierce will play brother Frankie, who is more sensible than his ragey brother, but has terrible timing. Emily Kinasz will design the costumes, Kayla Brown will design the lights, Morgan Hunter is in charge of sound, and Nick Kilgore and John Stark are listed as co-scenic designers. Never a dull moment for Adams and Stark! 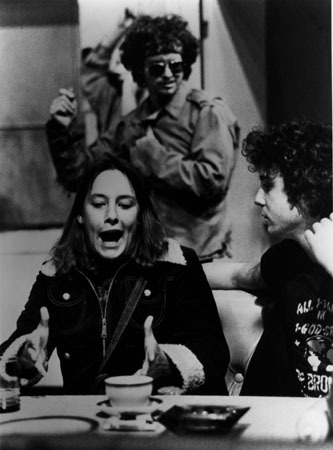 Laurie Metcalf (front) and Gary Sinise (back) in Balm in Gilead at Steppenwolf in 1981. William Petersen is at right. Filling in the blanks previously left in ISU's Spring schedule, we now know that Mozart's Così fan tutte, set for performances March 2 through 6, 2018, in the Center for the Performing Arts, will be directed by Joe McDonnell, and that John Tovar has chosen to direct Lanford Wilson's Balm in Gilead, to be performed April 13 to 17, also in the CPA. Balm in Gilead is one of the shows that defined Chicago's Steppenwolf Theatre -- The Chicago Tribune's Richard Christensen called it "one of those brilliant electric evenings for which the living theatre was made " -- back in the early 80s. Directed by John Malkovich and featuring a host of now-famous actors (Joan Allen, Gary Cole, Francis Guinan, Glenne Headly, Tom Irwin, Terry Kinney, John Mahoney, Laurie Metcalf, Jeff Perry, William Petersen, Rondi Reed, Gary Sinise...), the production was revived Off-Broadway four years later, part of Steppenwolf's (and its company's) rise to national prominence. Metcalf's performance of a 20-minute monologue still remains in theater-goers' memories as something very special. Since Steppenwolf was founded by a host of former ISU students, one wonders if the likes of Cole, Kinney, Metcalf or Perry will pop in to see how it's going. Maybe Malkovich can even be lured back to campus to give his input. For all the details on ISU's upcoming season, you can click here to see the latest press release. Ah, Balm in Gilead. You summed up that production very nicely, Julie. I'm so glad I was living in the Chicago area at that time and took it into my head to see that one. I can't pretend I spotted all the future stars in the ensemble, but director Malkovich was somehow already on my radar, and Gary Sinise (a drugged-out narrator character), Glenne Headly, Laurie Metcalfe, and Jeff Perry (the latter two married at the time) were the central figures in a large and busy ensemble. That monologue has really received universal praise as far as I can make out. I'm glad to see the show turn up on somebody's schedule -- it doesn't happen very often. Honestly, Lanford Wilson doesn't happen very often these days. Not even Talley's Folly. I guess he's due for a resurgence. Searching around on YouTube, I found promo videos for productions of it at various university drama departments and actor-training programs. I suppose it checks some boxes for such programs, looking at an underclass and contemporary life, and lending itself to diversity in casting. It's interesting to see the different ways the various faculty directors promote it: "a picture of people who are just hanging on" -- "a universal story that could be any of us." I've been reminded, by looking up Wilson's life, that Balm in Gilead is one of his very earliest plays -- 1965 -- from his off-off-Broadway days with La MaMa. His first more "mainstream" play was probably Lemon Sky in 1968, and all his better-known titles happen after that. I wonder if Balm in Gilead might be as forgotten or ignored now as the other early oddities, had it not been for Steppenwolf's triumph with it in 1982 and 1984, showing a new audience what could be done with it. I just watched the four-minute clip of Laurie Metcalf with a piece of the monologue. Still magic, even in brief. I also found an image of what looks like a very young Peter Frechette in an LA production of Balm in Gilead in the 80s.